SAALT creates a number of resources to share with community members, partners, policymakers, funders, and other stakeholders. Publications are available online and may be shared and used with appropriate attribution to SAALT. 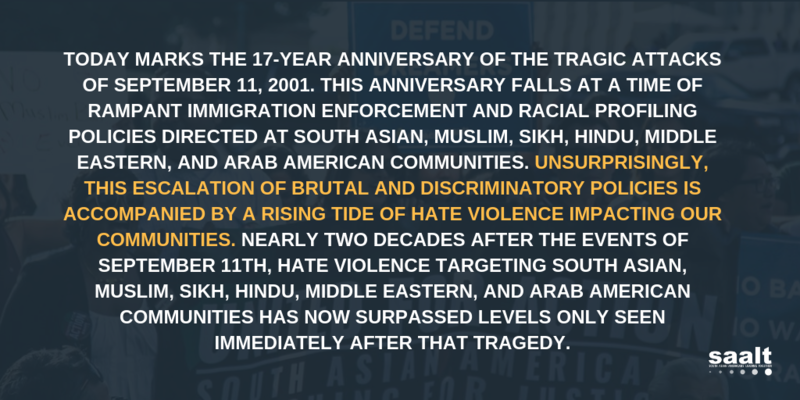 SAALT also hosts webinars on topics around issues that affect South Asians in the US; organizational capacity building; and analysis, as well as offering a variety of trainings. These recorded webinars are available for use with appropriate attribution to SAALT.